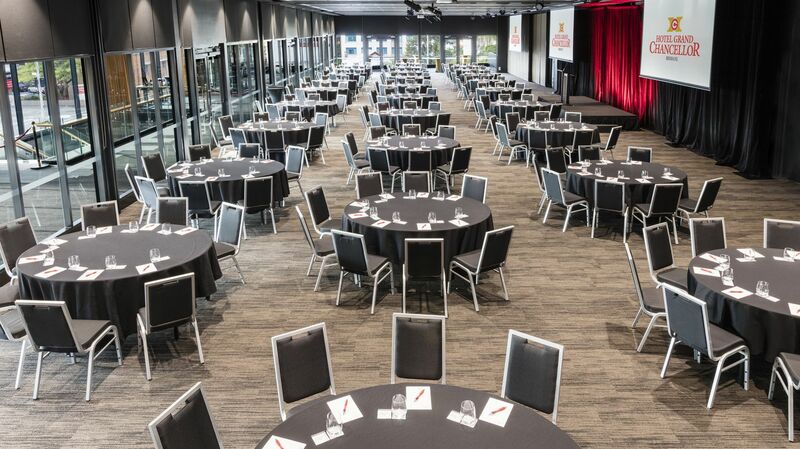 From seminars to conventions, trade shows, gala dinners, school formals and weddings, our Conference Centre offers a level of flexibility like no other hotel in Brisbane. Catering for 5 to 1000 delegates, every detail is meticulously planned to ensure your event is flawless and impeccably executed. To make an enquiry please phone 07 3834 4856 or click on "Send Enquiry" to complete our online form. Learn more about our Brisbane meeting venues at Hotel Grand Chancellor Brisbane. Our contemporary Australian menu is uncomplicated and provides an unforgettable culinary experience. Inspiration is drawn from fresh, seasonal produce sure to impress your guests. Equipped with the latest technology, lighting and sound, our professional AV team will ensure your event is flawless and impeccably executed. Every meeting room at the hotel is equipped with either cable or wireless broadband Internet access.